Winter in the desert gets cold. The deciduous plants have lost their leaves. The days are short. Snow may fall (as we’ve seen quite a bit this season!). But, just because winter is here, it doesn’t mean there are not countless wonderful things to see and do outside. 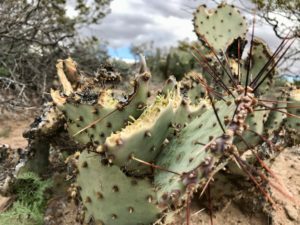 Follow this guide to learn about the cool critters and plants you can find in the desert this time of year. 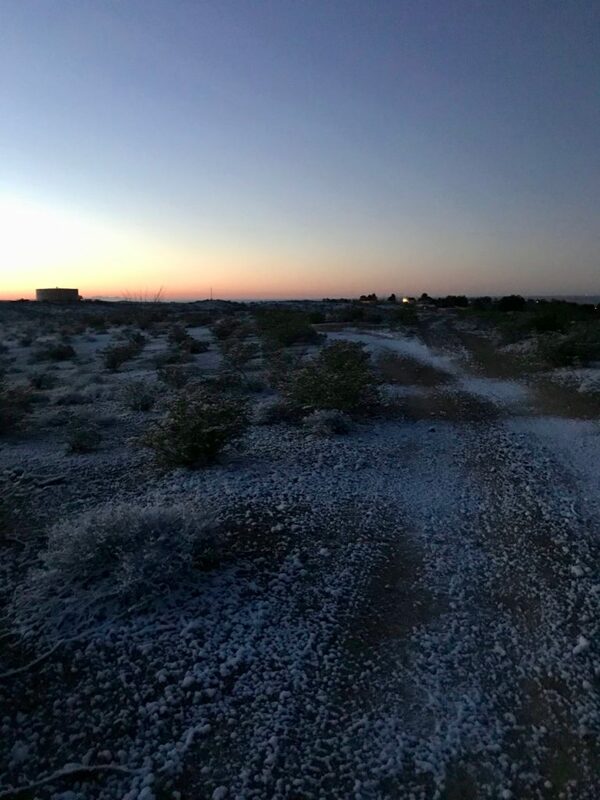 Better yet – head out to our Chihuahuan Desert Nature Park, and take in the winter wonderland for yourself. 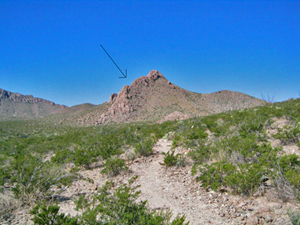 The high temperature in January in Las Cruces is 59°F. Compare that to the 95°F high in July, and spending time outside in the winter immediately looks more attractive. The warmest times of day will be from 10 am to 4 pm while the sun is shining high. 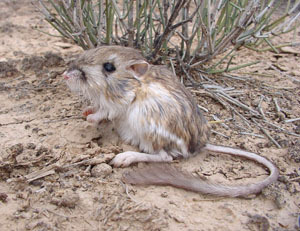 Kangaroo rats store seeds in covered pits during the year. 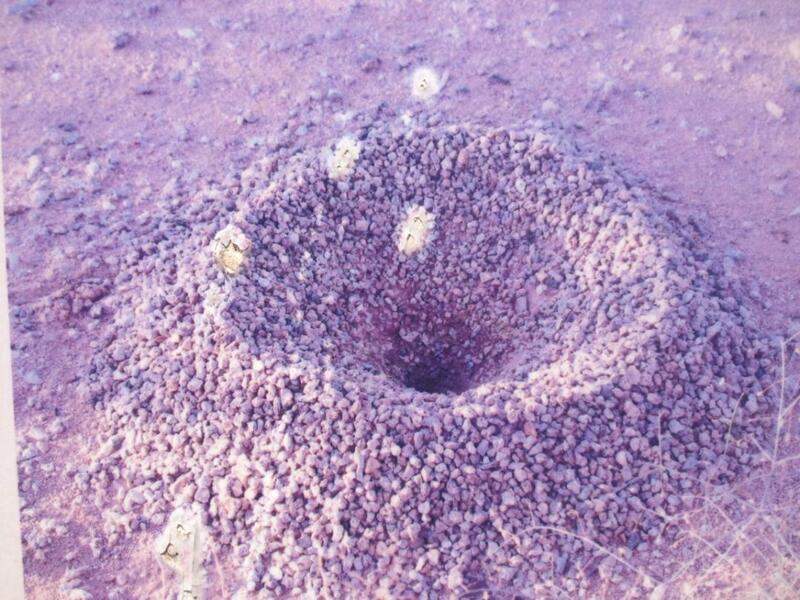 Hungry kangaroo rats dig up their pits in the winter! Coyote yips and howls can be heard often in dusk and dawn in the winter. 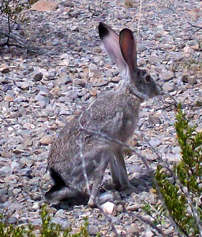 The high-water and -nutrient content of prickly pear cacti make them an ideal food for black-tailed jackrabbits, desert cottontails, and pack rats. 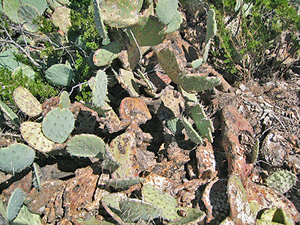 Animals will also dig up the prickly pear (non-spiny) roots. 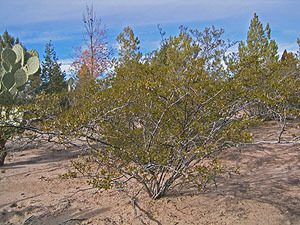 Even though some plants lose their leaves, the desert in the winter still has plenty of green around. 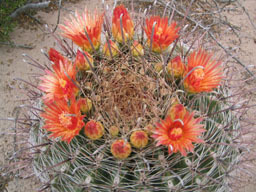 Cacti give the desert a lot of green: prickly pear, hedgehog, barrel, and cholla. 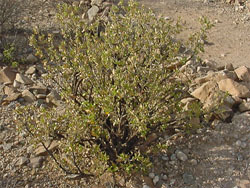 Creosote bush is everywhere. Our most abundant shrub – and an evergreen – it provides a lot of color during the winter months. 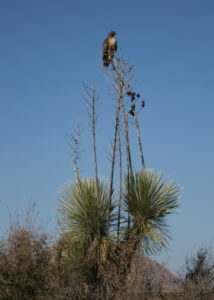 Yucca, agave, Mormon tea, and other plants keep their green too. 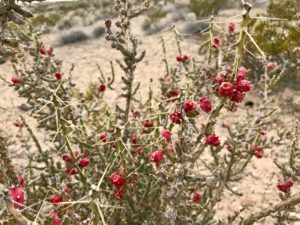 Keep your eyes peeled for the bright red fruits of Christmas Cholla still clinging on as well. North American grassland birds – Almost all of the grassland birds breeding in the western Great Plains are migratory. 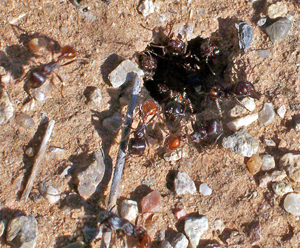 Ninety-percent of these species spend their winters in the Chihuahuan Desert. Sandhill Cranes – Keep your eyes up! Large flocks of Sandhill Cranes will migrate in their distinctive “V” formation to their breeding grounds in the Northern US and Canada. Red-tailed Hawks – The most commonly-seen raptor in the winter, Red-tailed Hawks fly into the Chihuahuan Desert in October and November. The Swainson’s Hawks we see in the summer head to Patagonia for the winter. 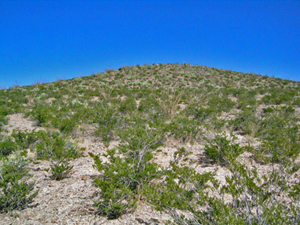 Want to get better acquainted with the desert in winter? 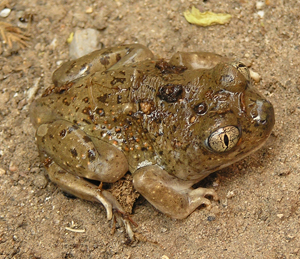 Come to our Scientist Saturdays at the Nature Park! Click below to learn more. 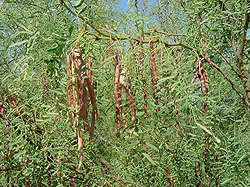 CEC. 2013. Where do grassland birds winter? Density, abundance and distribution of wintering grassland passerines in the Chihuahuan Desert.. Montreal, Canada. Commission for Environmental Cooperation. 30pp.